The Polish flag features the colors of white and red. White, according to Slavic culture, is symbolic of kindness and honesty. The color red is symbolic of valour. Legend has it that the eagle became the symbol of Poland when the founder of the country of the Polanie tribe, Lech, was so amazed when he saw an eagle sitting in a nest, that he decided to put an eagle on his banner. In ancient history, an eagle was seen as divine, believed to bear strength, genius, and valor. 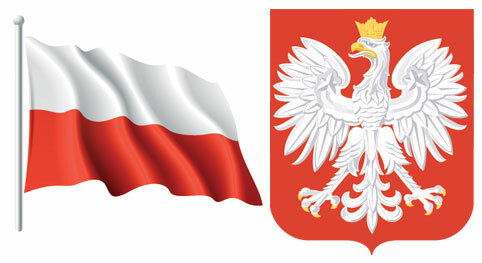 An eagle with a white crown became the official emblem of Poland in 1925, when the King of Poland, Przemysl II, was crowned. It was at this time, also that the image of the crowned eagle was placed on a red background. In Polish culture, Religion plays a significant role — 95 percent of the Polish Population are Roman Catholic, and 2016 marks the 1,050th anniversary of Christianity in Poland. It comes as no surprise, then, that most religious holidays are considered national holidays. Two of the biggest religious holidays entwined with Polish Culture are Christmas and All Saints Day. 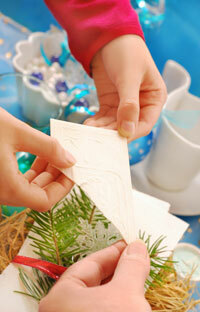 During Christmas, families break and share oplatek, a thin white wafer. This ritual is known as “dzielenie oplatkem.” While sharing the oplatek, people share their well wishes for the coming year. All Saints Day is a time for the Polish to visit their departed loved ones at the cemetery. All with their religious beliefs, Poles also place family at the center of their lives supported by a tight-knit family community. When it comes to making commitments, family and family friends will always come first, before business and working relationships.